Vibrant, thriving, growing, and aging gracefully into its surroundings while constantly improving—Mt. Laurel is still heading in the direction the original planners intended. The community, founded in 2000 and designed by Duany Plater-Zyberk & Company, the initiators of the New Urbanism movement and best known for Seaside, Florida, considered every square inch of the property and carefully plotted public and private spaces to create harmony between residents and nature. That population consists of 250 families with 43% of that number having children at home. One of those families is landscape architect David Brush, his wife, Lisa, and their three boys. “I grew up in Vestavia. As soon-to-be first-time parents, Lisa and I wanted to get closer to family and identified Mt. Laurel as a great place to raise our kids. Our first impression was that it was like a mountainside retreat. We fell in love with it pretty quickly, ” David says. Retreat-like amenities abound. With 6, 000 acres in preserve, there are plenty of hiking trails, a fishing and swimming lake, a community pool, an organic farm, and seasonal festivals that bring together residents and day-trippers. Everyday conveniences include a small but well-stocked grocery; restaurants; dentist; a doctor that makes house calls; a pharmacy that delivers; and two salons—one for people and one for pets. With so much to offer, it’s no wonder Southern Living magazine named Mt. 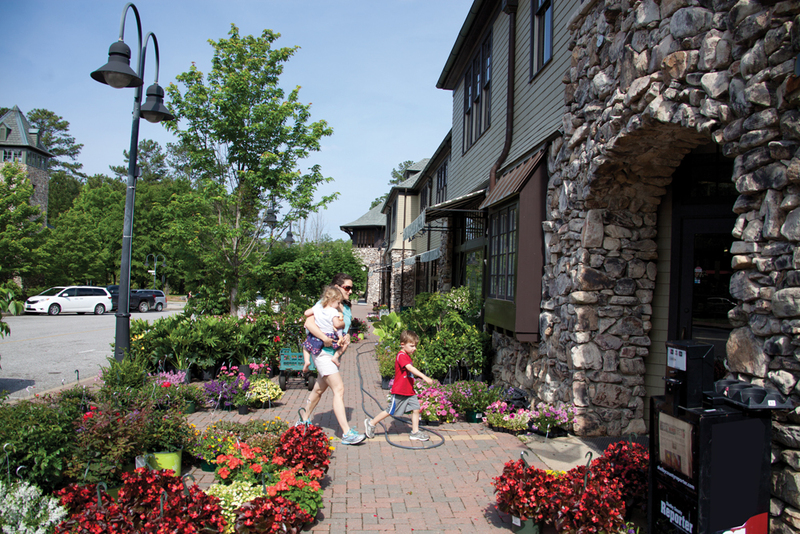 Laurel a Southern Living Inspired Community—a designation only two communities in Alabama can currently claim, according to Ray. (The other is Hampstead in Montgomery.) 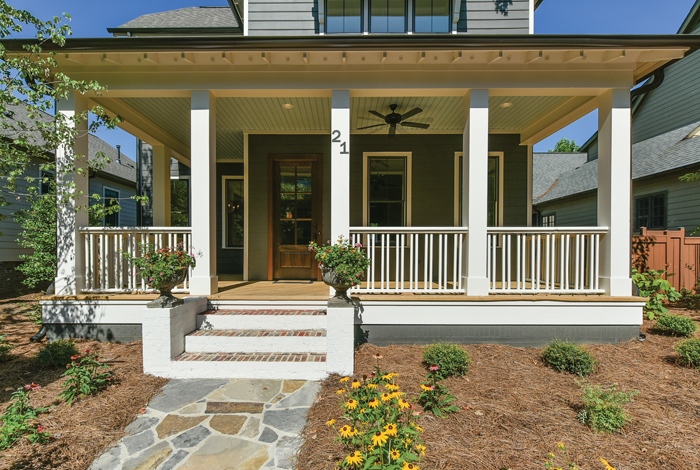 The Birmingham-based magazine also chose this community as the location of its 2016 Idea Home and upcoming Inspired Home (Fall 2017). The small-town vibe is evident. “Houses are closely knit, so it’s a good place to be if you like people. That proximity has fostered a lot of good relationships for us, ” says David. The Mayberry comparison? Maybe—but only in a 2017 kind of way. 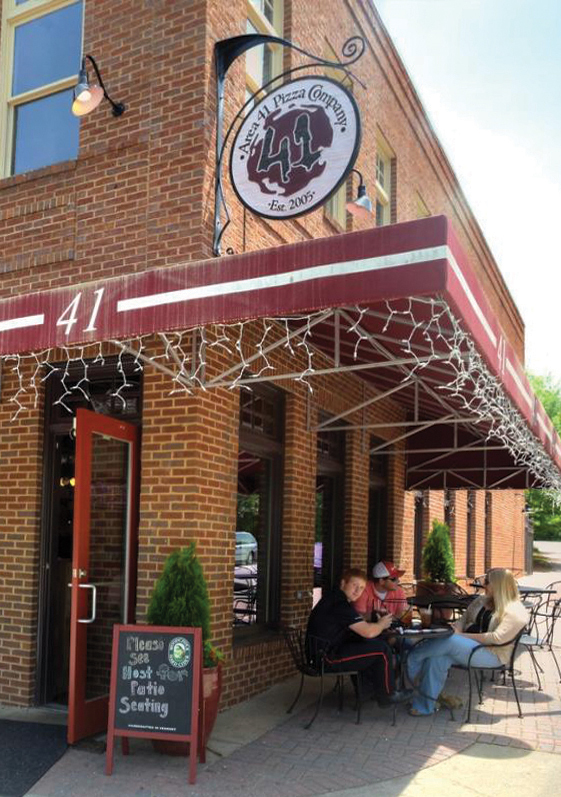 After all, Mayberry didn’t have Area 41 Pizza or the soon-to-be-opened LaPaz. For directions or more information, visit mtlaurel.com.